It was a bright sunny Monday morning. So happy to embrace the day with a cheery weather. Sigh, weekends seemed to pass in a glance. Still I managed to grab some buys from the GSS. Yeah! Will be glad to showcase some of my buys for the day. 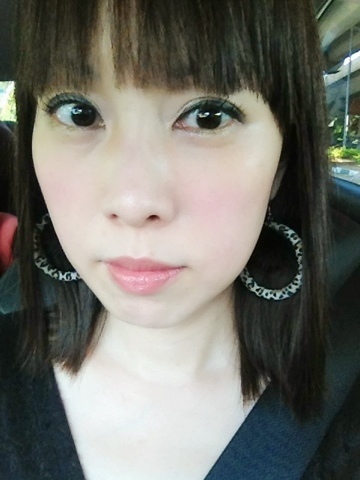 Here's my look of the day; Laniege BB Cushion on my face, Kate Gel Eyeliner, Urban Decay Eyeshadow and Shu uemura Lip Gloss.